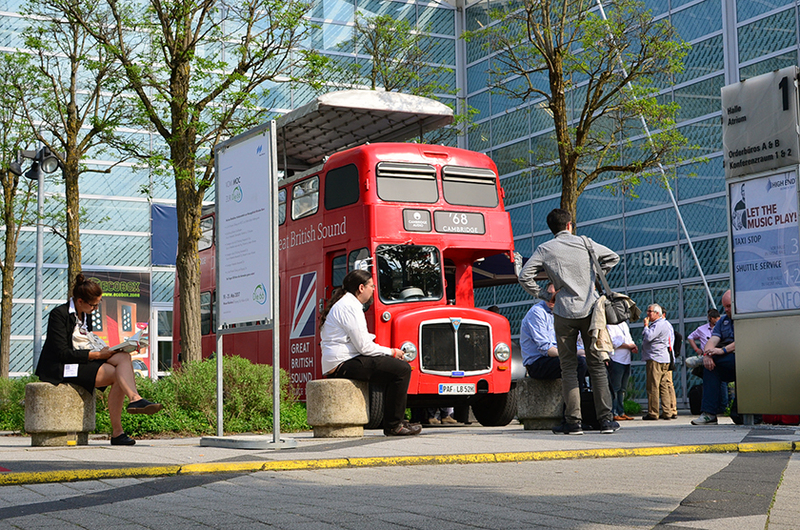 Cambridge Audio’s musical bus delivered not only great portions of sound, but also very tasty coffee to its visitors. 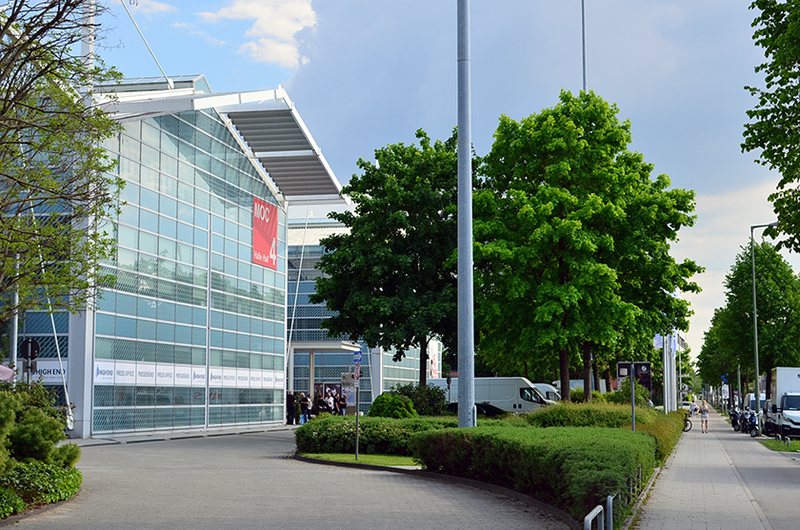 Four huge halls are hosting the High End Show at Munich. 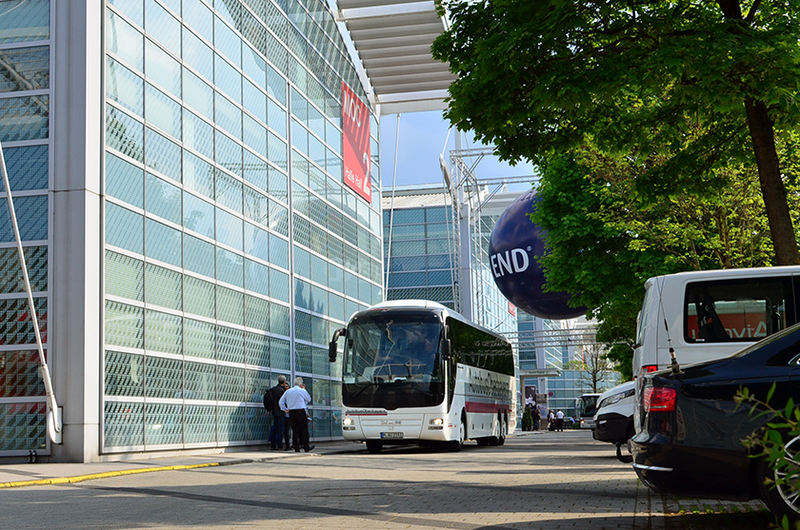 The MOC buildings are easy to reach with public transport. I took the underground U6 from the station “Marienplatz” to the station “Freimann”, which is located at 15 minutes walk from the MOC. 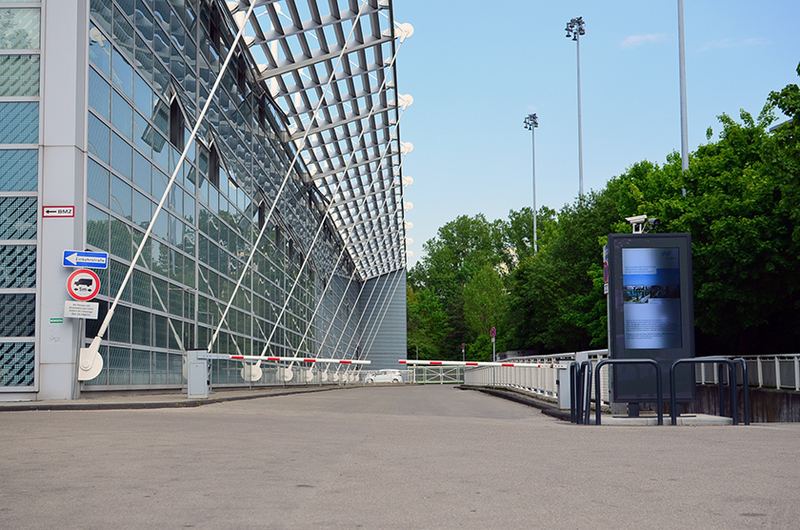 On the right side is the underground parking lot with more than 1,600 parking spaces available. I’ve had two whole days to spent in MOC building, where the show was hosted, and I’ve prepared a list of rooms I wanted to visit first in case the time got short. 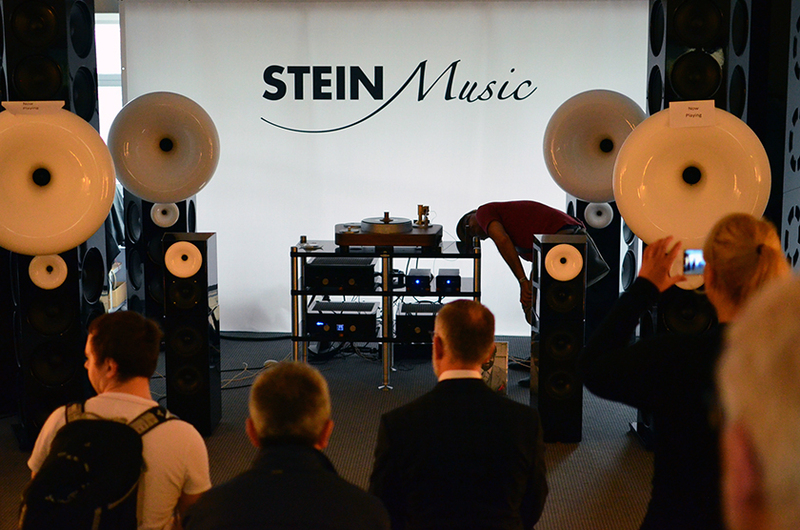 At the end I managed to visit almost all of the exhibitors and I have to say that the sound quality in terms of realistic reproduction of audio events was in most cases disappointing. I was entering rooms immersing into the sound without looking for a source. Usually staring at the floor or the side wall I let myself being fooled that real artists are playing, but it never happened. 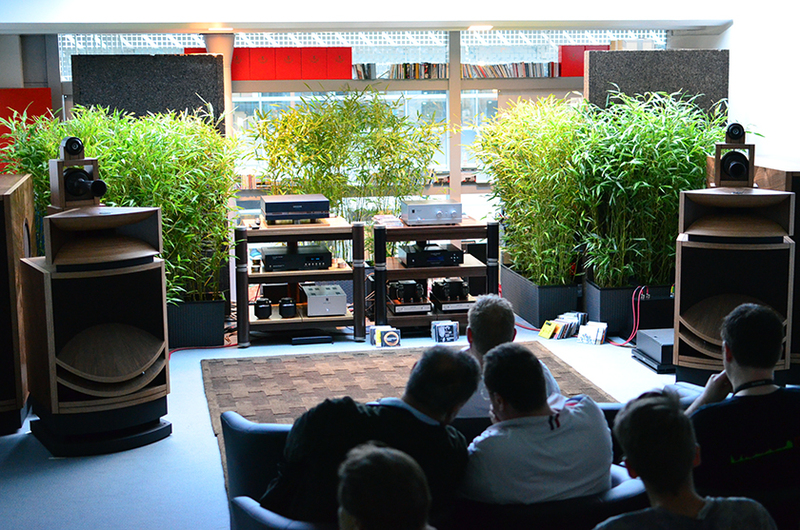 The sound that nearly fooled me by creating the illusion that a real band is performing was produced by Harbeth Monitor 40.2 40th Anniversary loudspeakers driven by Magnum Dynalab MD-309 hybrid amplifier in the room of Input Audio. This system managed to deliver rather close to reality experience. Sure it depends on the records that has been played too, but once I entered this room it was Billie Holiday’s Songs For Distingué Lovers which is a natural Verve Living Sound Fidelity stereo recording from 1957 taken with pair of tube microphones — necessity if you want to check the capability of the system to realistically portray an audio event. Close-miked recordings done in a studio with processed signals and multitrack mixing are by nature artificial and usually sound far from realistic, so there is no chance one to be fooled that a real performance is happening. 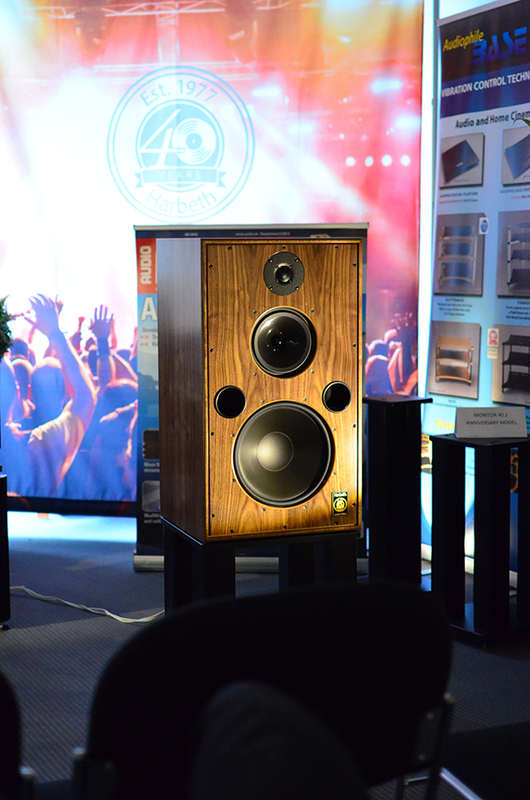 Harbeth 40th Anniversary limited edition Monitor 40.2 featuring British-made audio grade poly capacitors, WBT-nextgen binding posts and a new super-tweeter. I’ve had to jump in another train after staying half an hour at Munich central station in a train that didn’t set off at all because of a damage — one of the cars has a door that failed to close — this was the reason for the whole train to Hamburg being canceled. We were advised to move into the next one which would arrive eventually one hour later. I found a free seat next to a girl in the first wagon, she is almost asleep on my shoulder now. 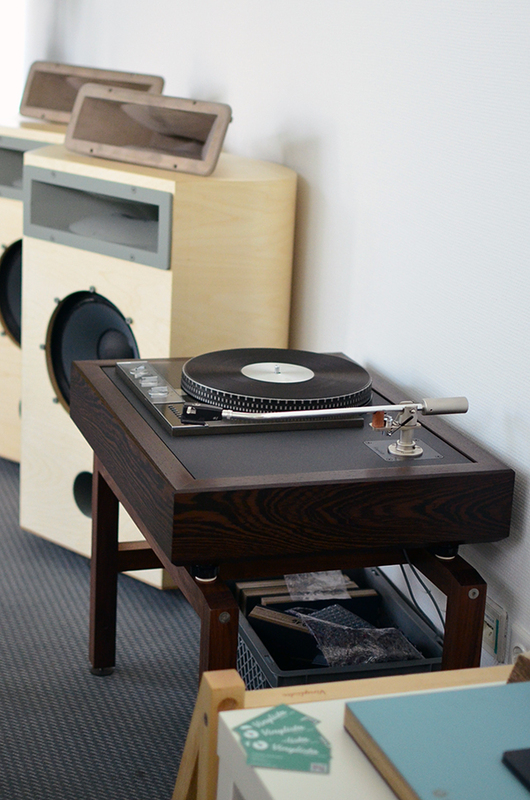 Analog source at Thomas Mayer’s room – Garrard 401 in Vinylista plinth with Thomas Schick tonearm. As I said Harbeth Monitor 40.2 were emitting sound waves which according to my perception were the closest thing to those emitted by an audio performance act. The balance that a loudspeaker has to keep is very fragile and every transducer tend to emphasise or attenuate something so that it is rather hard task to maintain the proportions a microphone has taken. 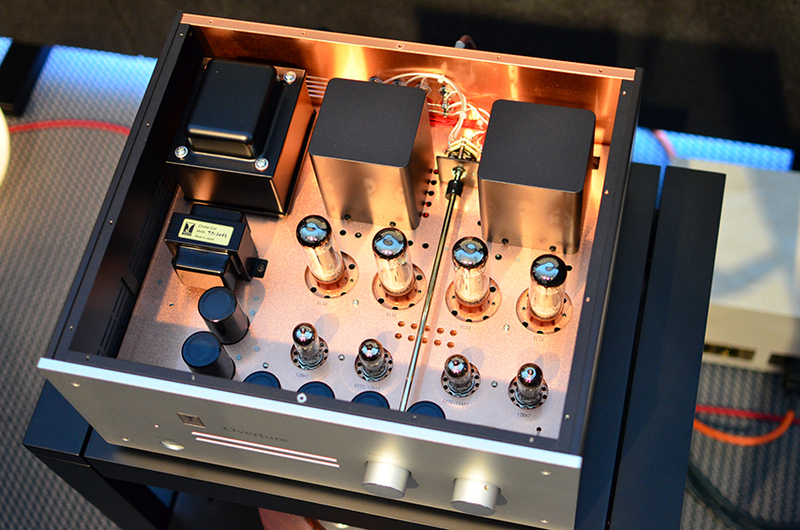 I believe it is absolute top what Harbeth engineers had achieved by conceiving such a product. For me these speakers are standing out from all the others I had the chance to listen to not because they have perfect midrange, articulated lows or detailed heights, but because overall they managed to keep the balance so that the reproduced event is believable — there is nothing or at least very little being emphasised or attenuated and the proportion of the main tones and their high-frequency harmonics as well as the detail level across the spectrum has been preserved and the fragile ecosystem of the sound picture has been distorted minimally. Another system that came very close to the reality was the big Western Electric Mirrophonic from 1934 in the Silbatone room, but it is of another range. I mean speakers having height of more than two meters are meant for use in cinemas or concert halls not at home. 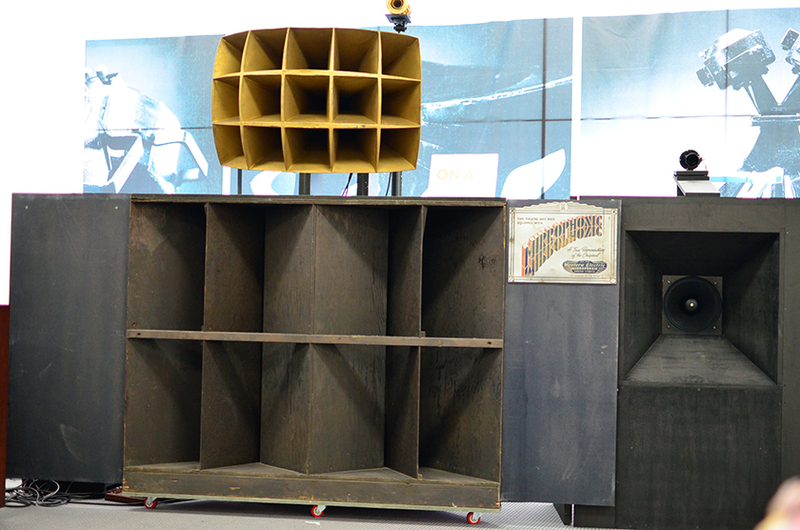 Western Electric “Mirrophonic” M2 system from 1934. The M2 configuration features 2x 594A compression drivers and 2X TA-4181 18″ woofers per side, all field coil units. The multicell horn is the outstanding WE 26B. 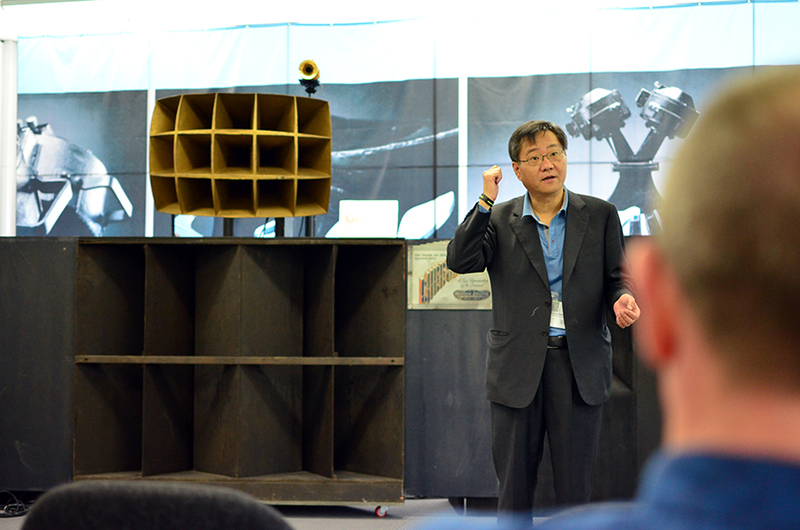 Western Electric inspired field coil speaker system made by GIP Laboratory in Japan. I started the show with Wolf von Langa and Thomas Mayer rooms. 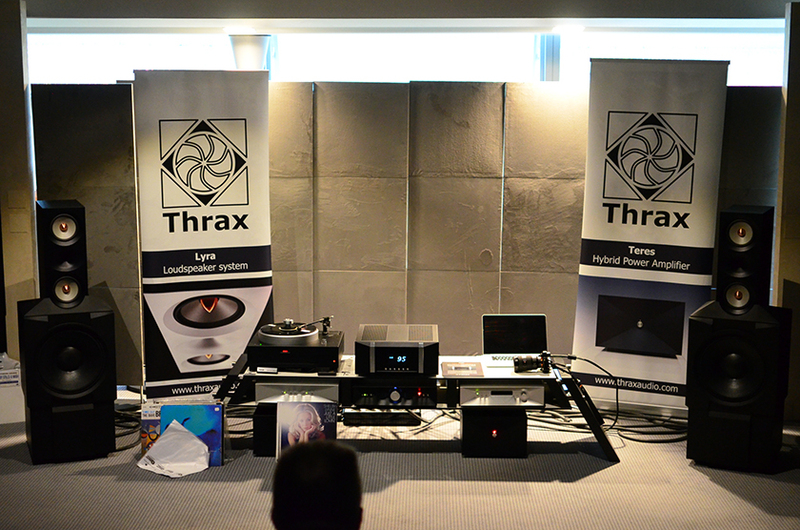 Wolf von Langa was using his own field coil loudspeakers and amplification from Thomas Mayer. 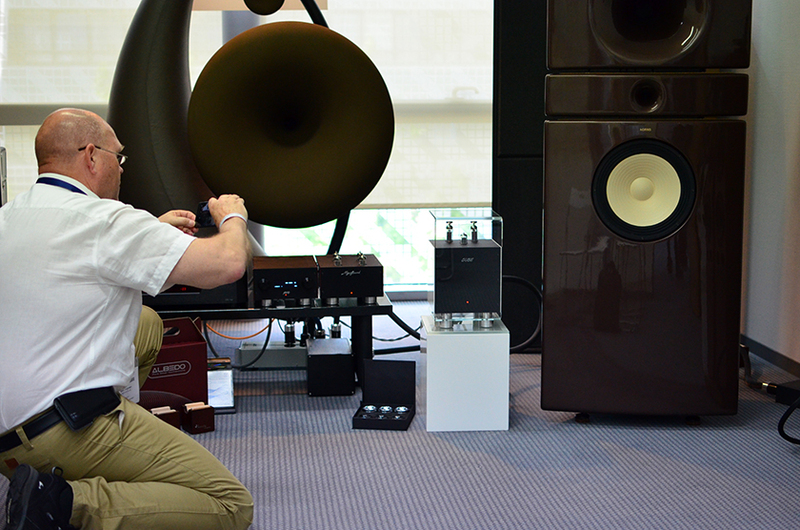 Thomas Mayer was using his own amplification and Azzolina loudspeakers. 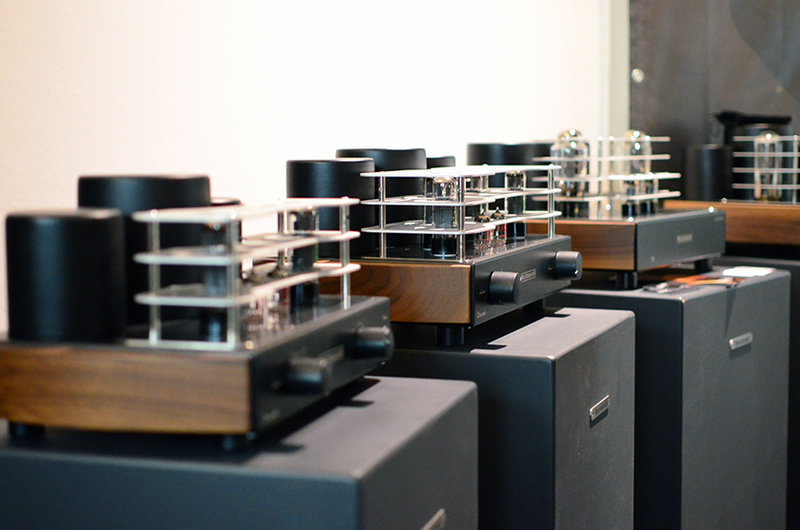 Langa’s system impressed me with very detailed and transparent soundstage but the bass was somehow lacking weight and definition. I would not get into analyzing why the reproduction at these rooms was not very convincing to me, I can just say that both systems were unable to fool me even when they played natural recordings. They can sound good though with particular material. I expected in one of these rooms to hear real artists performing, but there were none. 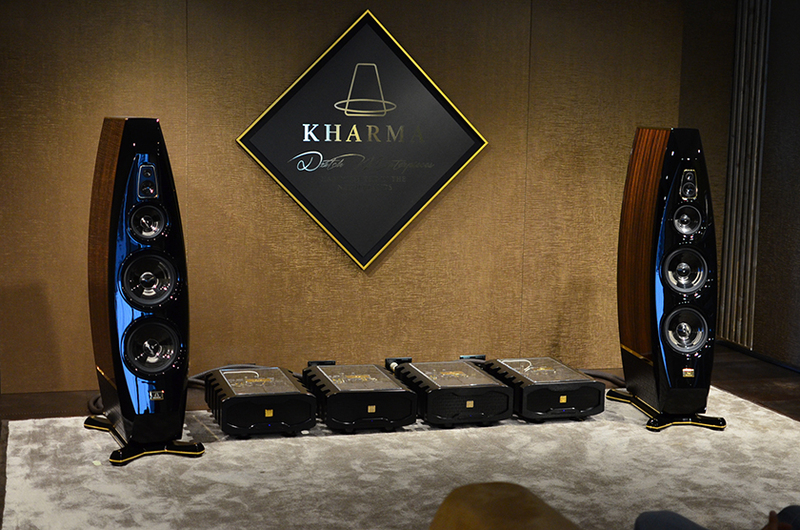 Wolf von Langa’s room with his new range of speakers called Audio Frame and amplification from Thomas Mayer. 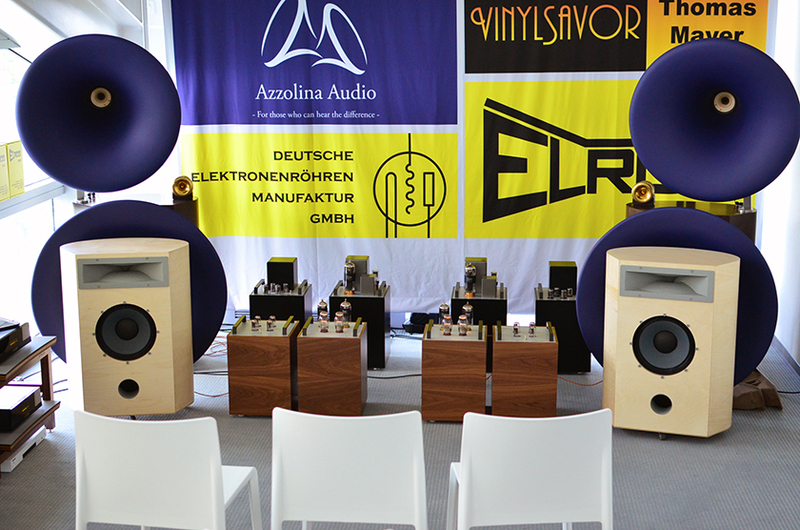 Thomas Mayer’s room with big Sphera horns and Hadron speakers from Azzolina Audio and two sets of amplifiers – 300B push-pull and 211 single-ended monos. It is hard to keep the balance and it is very fragile thing to reproduce something real with all its palpability and presence. But the essence, the feelings that the real act arises, how about them? 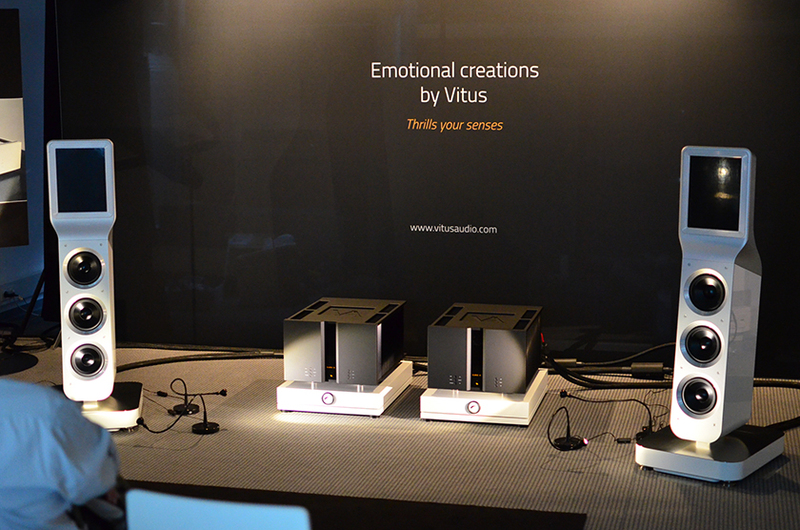 If we can transport emotions without reproducing the exact copy of the recorded acoustic event it would be enough. I mean we all know that music could rise emotions even if listened on a portable transistor radio. I am going in a wrong direction guys, my intention was to report about my impressions of the show and now I am trying to sophisticate on much broader conceptual topics. I think the idea to write in the train is not the most clever one as well — people sitting next to me could take me for a writer or something and could change their attitude or at least I think so. I mean it is strange if someone next to you took out a notebook and start scribbling all the way something, it is mental. 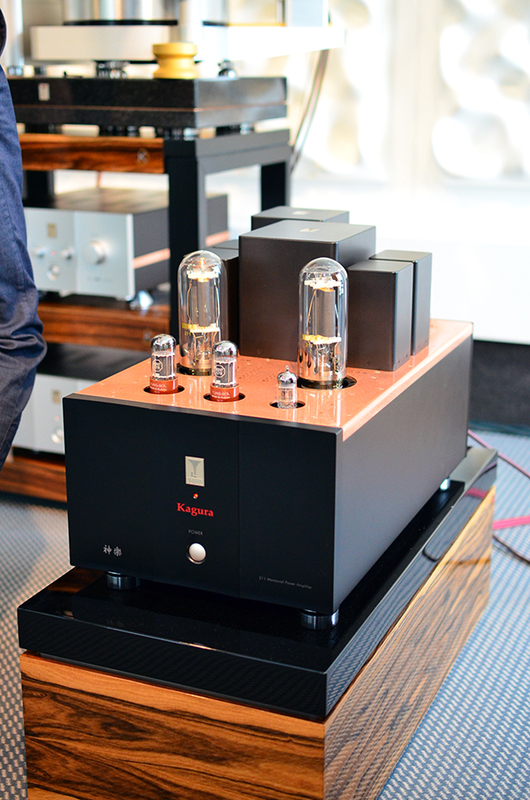 Kagura 211 parallel single ended monaural power amplifier by Audio Note/Kondo. 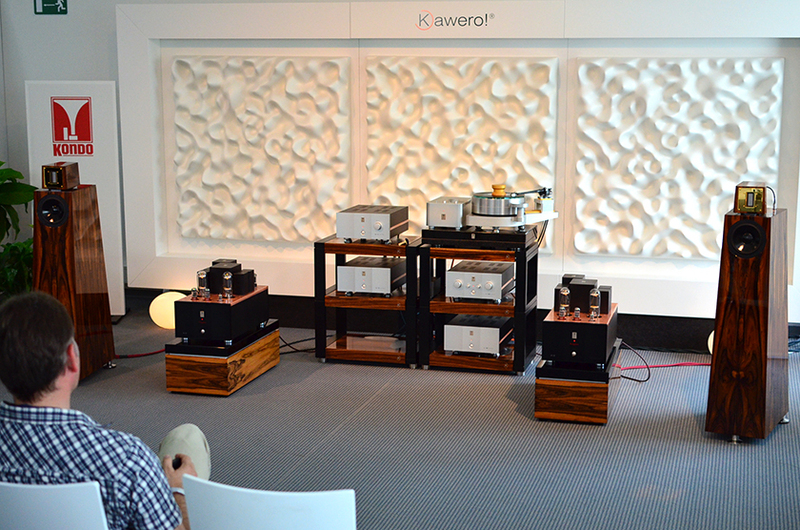 Made in Germany Kawero loudspeakers driven by Kondo Kagura 211 monaural amplifiers. 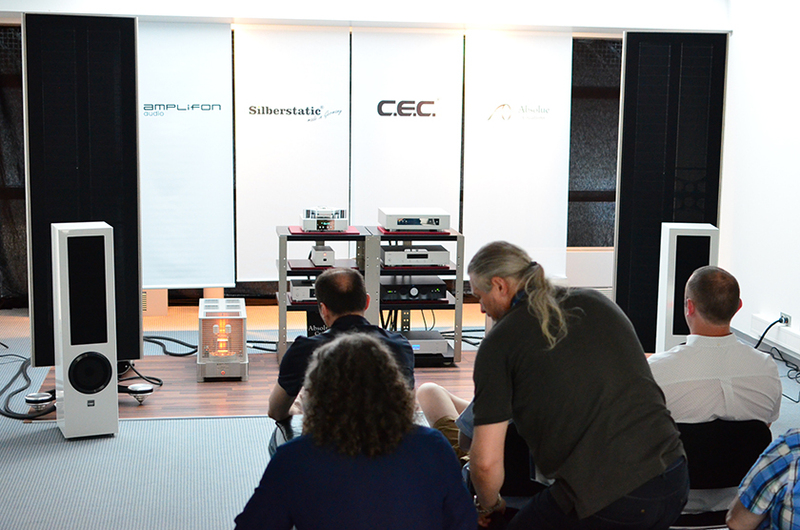 Pathos Acoustics room featuring the brand new products of InPol series. 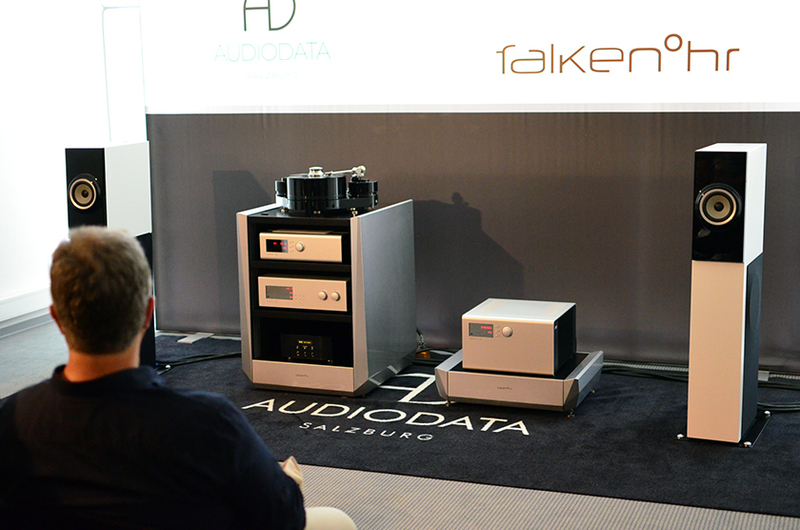 Art One loudspeakers from Audiodata in a passive version, Turntable from Tonart, amplifier by Soulution Audio presented on audio furniture by falkenohr. 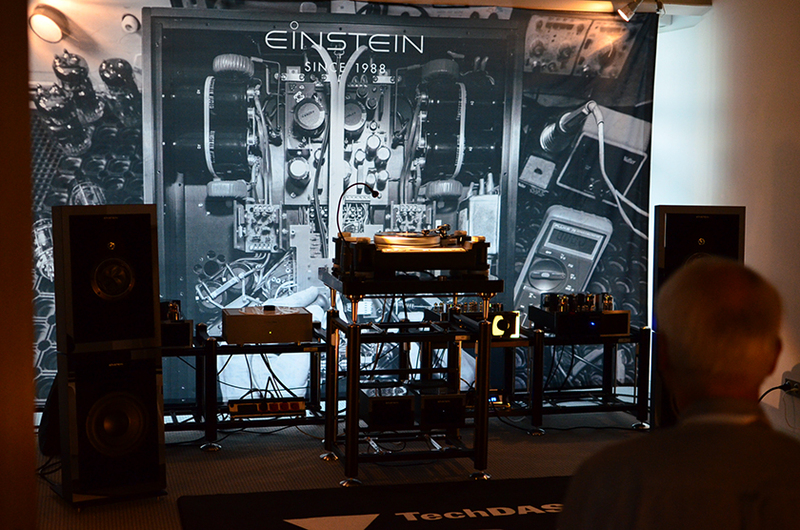 TAD Laboratories room exposing Evolution Series components. The conductor checked my ticket and all was fine, thought it came out that the train I jumped in would be split in two parts at Hanover so that one part will set off for Oldenburg and another will continue to Hamburg. I was sitting in the part of the train that should have continued to Oldenburg and I was advised to change it in Hanover. An old woman with slight form of dementia was accommodated few seats ahead of me. She didn’t speak any language known to me. A couple seating in front started listing names of Middle East countries and it turned out she is from Afghanistan. The only word she was repeating that made some sense to me was “homburg” so I promised to help her to transfer at Hanover. I feel sad seeing people in desperate conditions fleeing from them wars, alone and in advanced age. In Hanover I helped her to find a seat in one of the wagons. I myself didn’t find any because the train was fully loaded with bodies and luggage so I accommodate myself on the floor at the end of the car. I felt good that I was able to help someone in need. 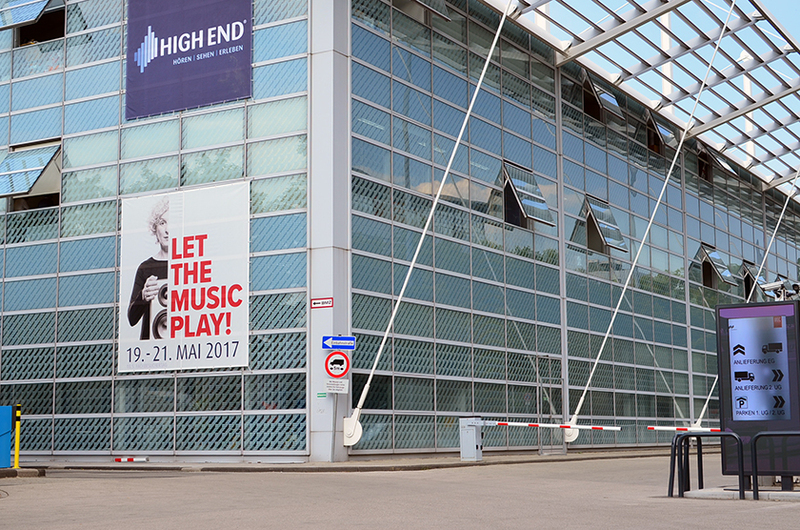 But let me jump back to the High End show at Munich. As I said the performance of the systems did not meet my expectations due to a complex of reasons, the main one being the exhibition space itself. I mean the MOC building is made out of concrete and steel wrapped in a glass which is rather poor combination when it comes to application in audio. One can also feel the rumble of the low frequencies coming from the sibling rooms and the constant level of noise intruding through the doors and adjacent walls. In some of the rooms there was lack of space as well, and heavy compromises have been made in regard to room acoustic and system setup. 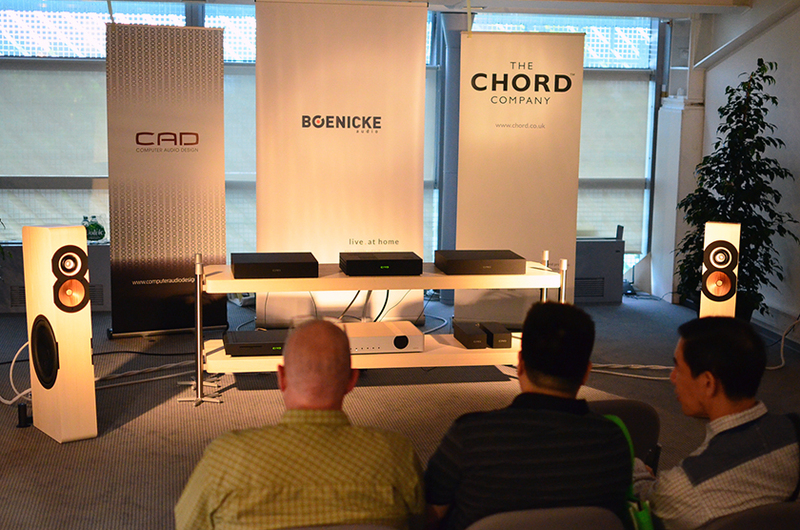 The rule of the thirds claims — one-third of the audio system’s performance is due to the room acoustic, one-third to the system’s setup and another third to the gear itself. So what do you expect? I am quite sure many of the shown systems have great potential which could hardly be evaluated in such a poor conditions. Unless such kind of shows are hosted in proper buildings made out of audio friendly materials like bricks, mortar and timber (like Frickelfest for example) one cannot judge objectively. 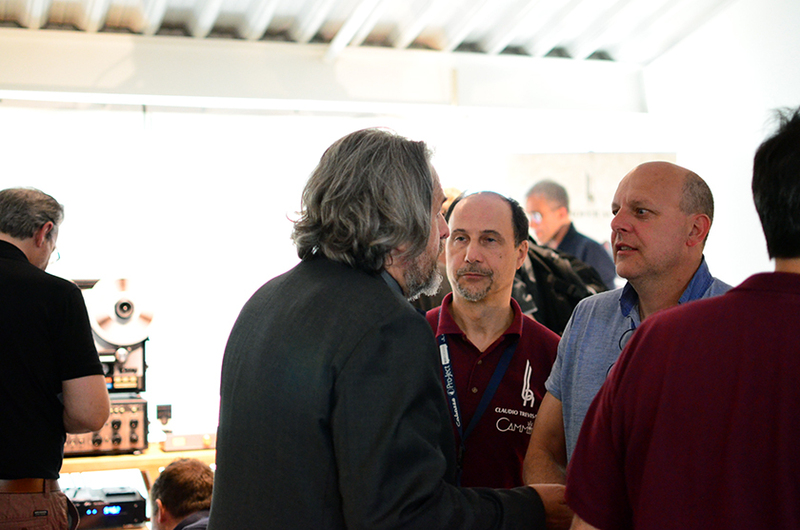 The other thing that made me negative impression was the incompetence some of the exhibitors demonstrated and the general lack of knowledge and motivation to get the maximum out of them miserable conditions. 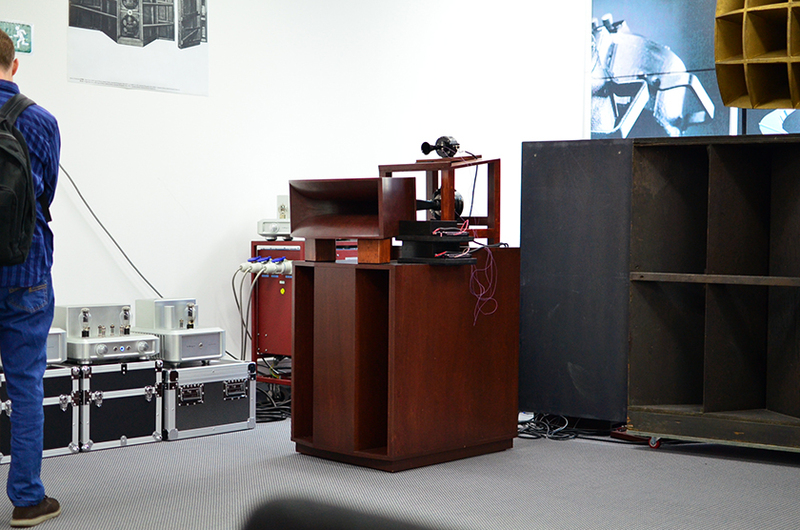 The most striking example was the Silbatone room which hosted the big Western Electric Mirrophonic system. Being one of the largest rooms in the show with two side walls made out of glass there was plenty of natural light and I couldn’t explain to myself why the artificial luminescent light was switched on all the time. I didn’t manage to explain either why no window was open when the air inside was so thick and smelly (it had strong cigarette odour). I mean in such a poor conditions I will not be able to enjoy music even if it is played live and I don’t know why some people do not pay attention to the listening environment but disregard it so brutally. 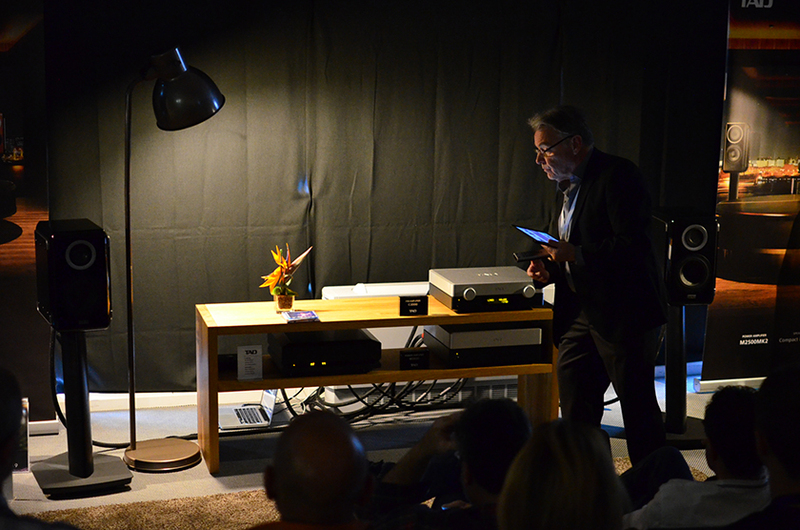 Another example was the Input Audio room that hosted the magnificent Harbeth Monitor 40.2 based system I enjoyed so much on Friday. Popping in again on Saturday with the hope to have a final good listening before setting off, I realised that something was wrong, something was missing and the magic was gone. Though the heights and lows were there something was terribly wrong with the sound. 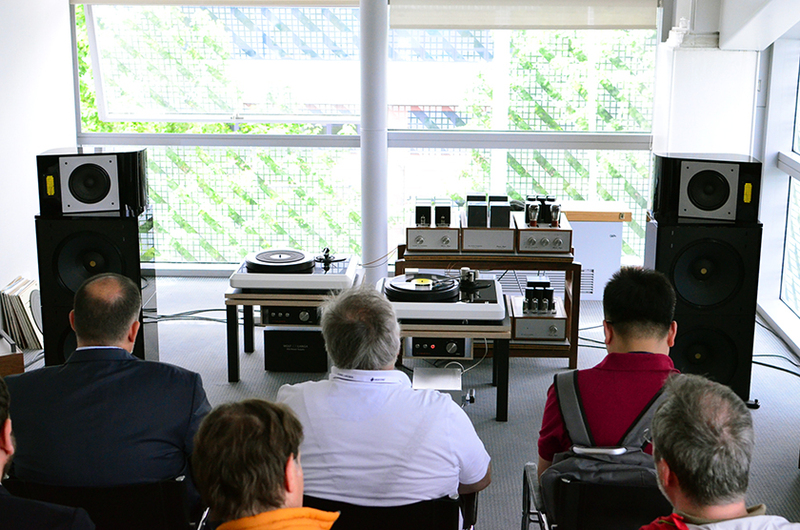 The turntable was idling but on Friday even the digitally streamed music was sounding very involving. 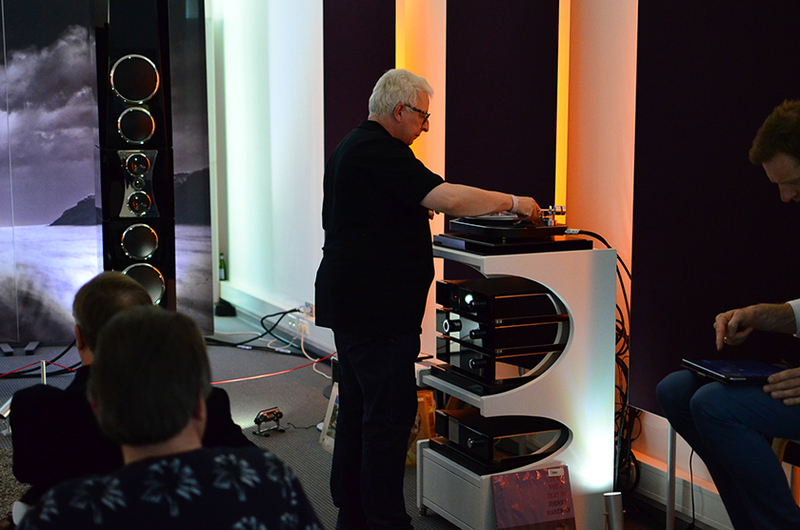 This time in the room was not the owner Bernd Hömke himself but an english speaking guy probably from the side of Harbeth. I was trying to figure out what might be the reason causing the system to sound dull and boring today. Then I noticed the guy approaching the system’s rack picking up a palm sized device that was obviously serving as a source through its mini stereo jack. Wow, here is the reason why! I told to myself that they probably just preheat the system for the real listening, though the show had opened more that 3 hours ago. After listening another 15 minutes to this poor performance with the hope that the guy will soon put the right source, if not analog at least proper digital, I started loosing patience. I mean it was my last day on the show and after spending 12 bucks on an entry ticket I wanted to have at least final good listening. I went to the guy and asked if he could swap the source with something more decent. The guy looked at me with amusement and said that what now plays is one of the best sources they have. I explained that I don’t mind the record itself but the hardware he was using which seems to be a mobile phone or something. Then the guy replied that it is not a mobile phone but Astell&Kern portable player which was supposed to be something completely different. How different could it be? It is still a portable audio player, three-in-one type of device combining transport, digital to analog converter, preamplifier and God knows what else in palm size. 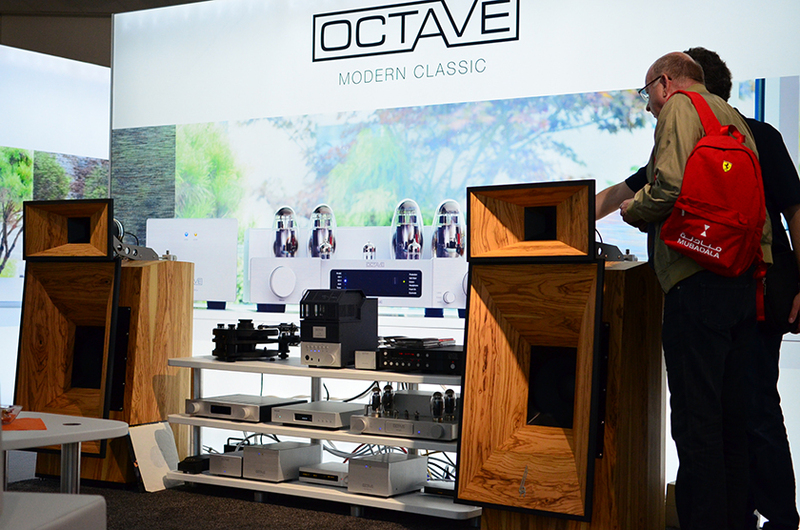 O’key, I saw there was no point to argue with a guy that think a portable player that costs a fraction of one of the speakers could substitute proper transport and DAC. It is just weird when you think how much incompetence is involved in such a big event like High End Munich. 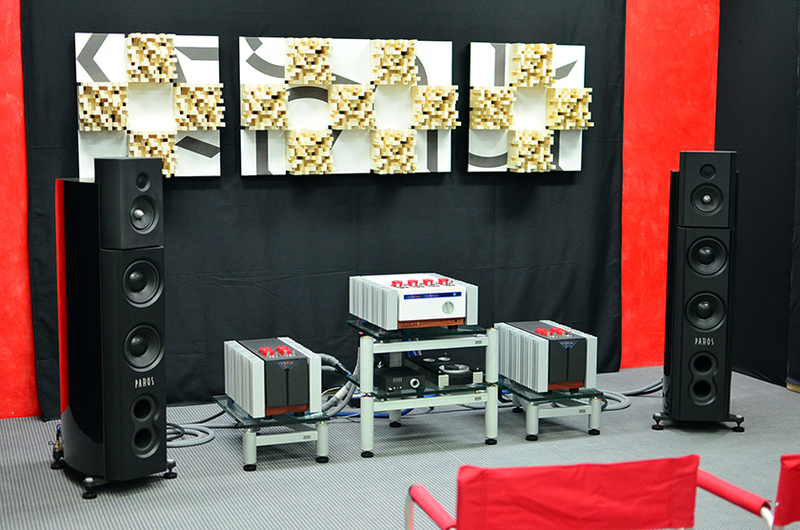 Rockport Technologies Lyra speakers driven by EAR 890 monaural power amplifiers. 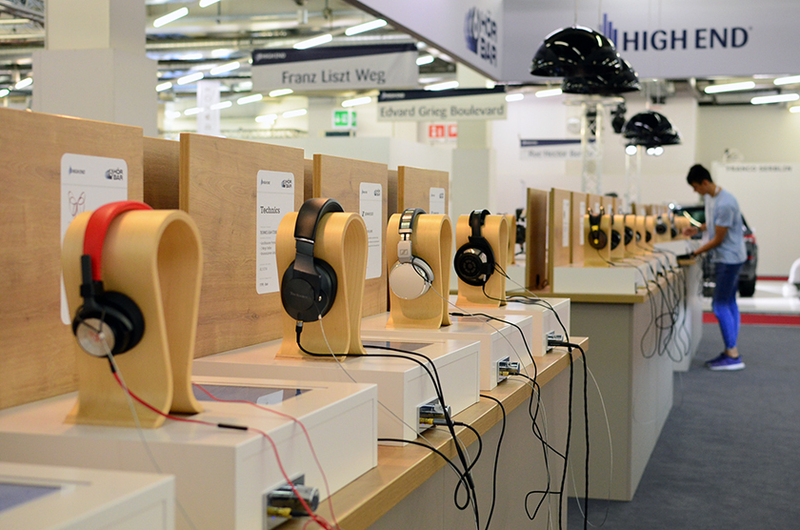 Hörbar – the listening bar which gives the opportunity to directly compare various headphones equipped with identical headphone amplifiers. 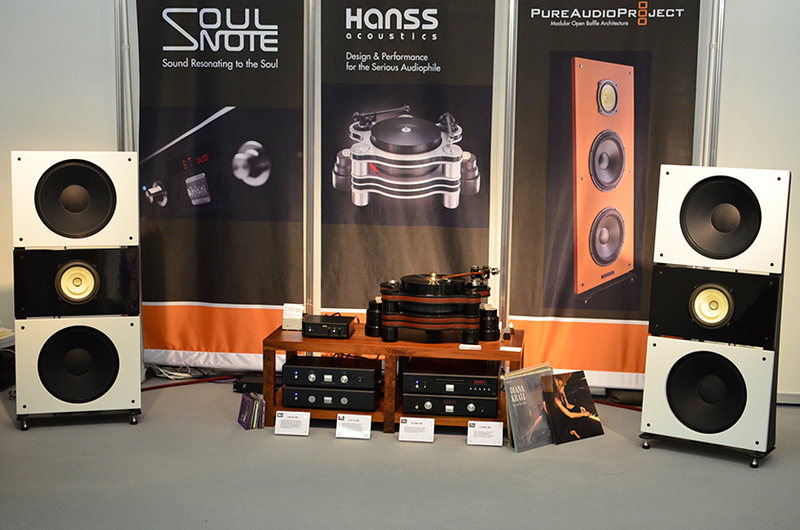 Pure Audio Project open baffle speakers driven by Soulnote amplification. 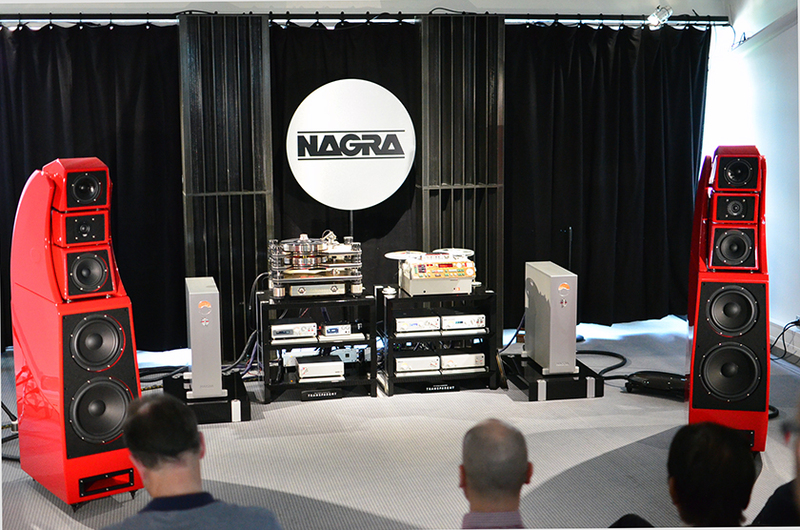 Wilson Audio Alexx speakers, Nagra HD Line, Nagra TA reel to reel Recorder, Kronos Pro turntable. 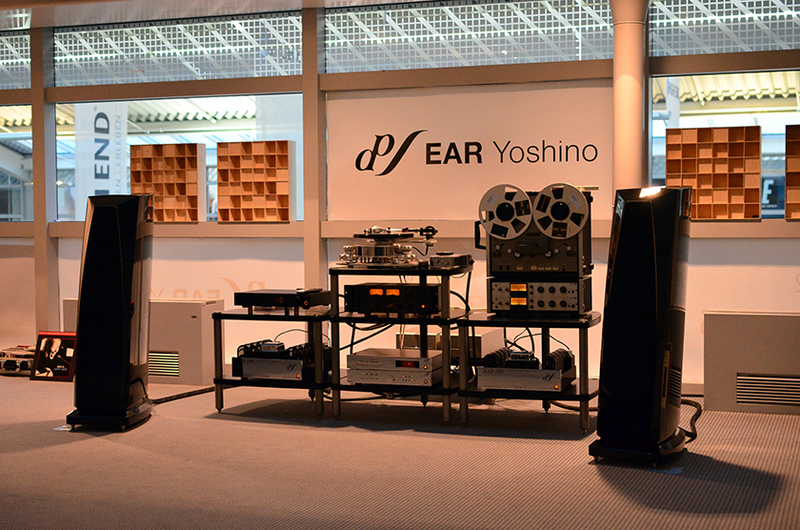 Living Voice Vox Palladian horn loudspeaker system driven by Kondo M77 pre-amplifier and a pair of Gakuoh push-pull power amplifiers. I thought it is time to leave earlier as planned because of my growing dissatisfaction when the luck stroke me. 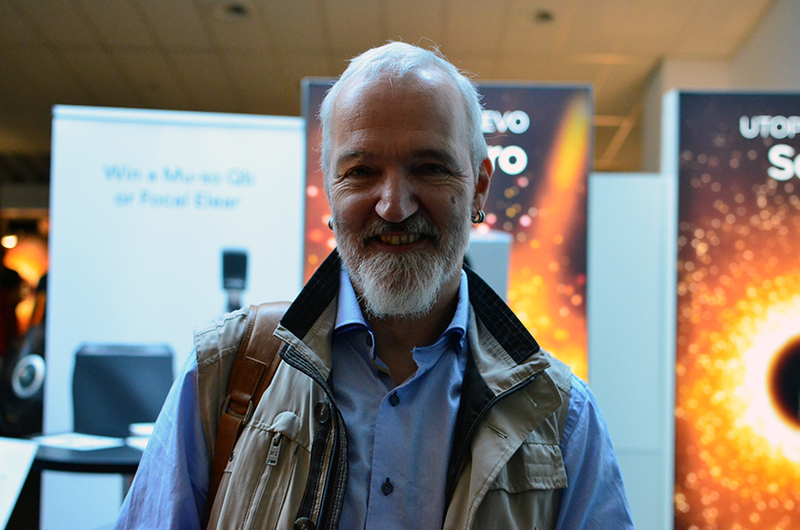 I was just strolling about when I stumbled upon not anyone but Srajan Ebaen – the founder of 6moons magazine and one of the most experienced guys in the world of audio reproduction. Srajan Ebaen – the founder of www.6moons.com. Musician by education he receives his name from Osho, move to US and become part of the Rajneeshpuram community in the high desert of Oregon. Working for years in High-End audio retail he launched 6moons in June 2002 out of the mountain hamlet of Taos in the high desert of New Mexico. 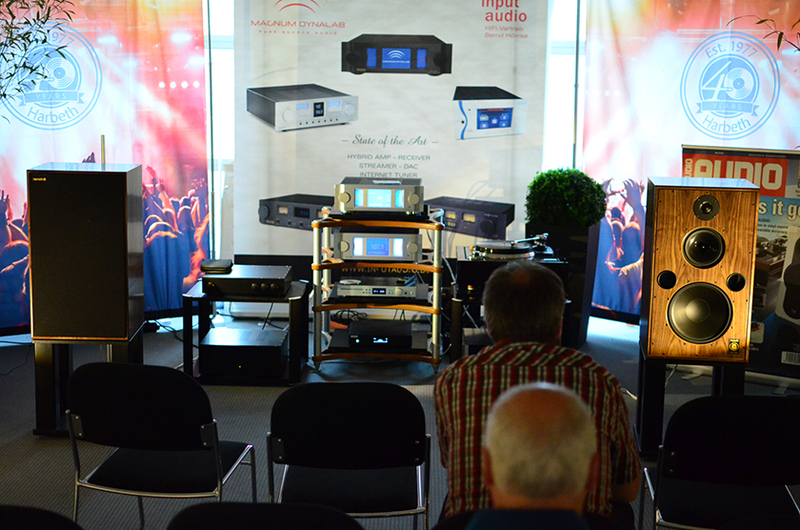 If someone knows anything about audio he is Srajan – an absolute expert and connoisseur with enormous experience with gear. It was hard to believe that the dude standing in front of me is Srajan so I took a look at his badge to make sure. I didn’t manage to hide my excitement caused by the lucky encounter and we started conversation. My impression of him is rather positive. I noticed always when I reflect on our short meeting I can’t help but smiling. Man with a bright aura, very positive, relaxed and ready to spent time on conversation with a stranger. I knew that he is originally from the region of Hamburg but I didn’t know that his brother still plays in Hamburg Philharmonic Orchestra. 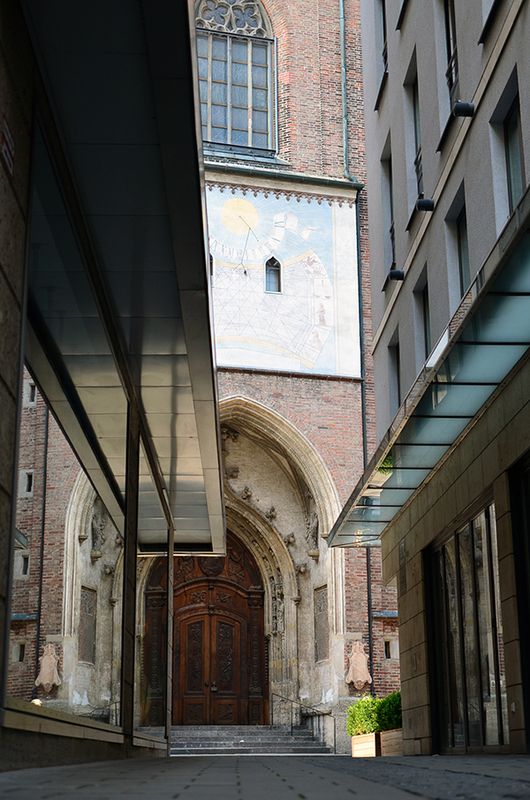 This encounter turned out to be the culmination of my High End visit so I decided it is time to leave and have a lunch somewhere in the city before the train take me on the way to Hamburg. 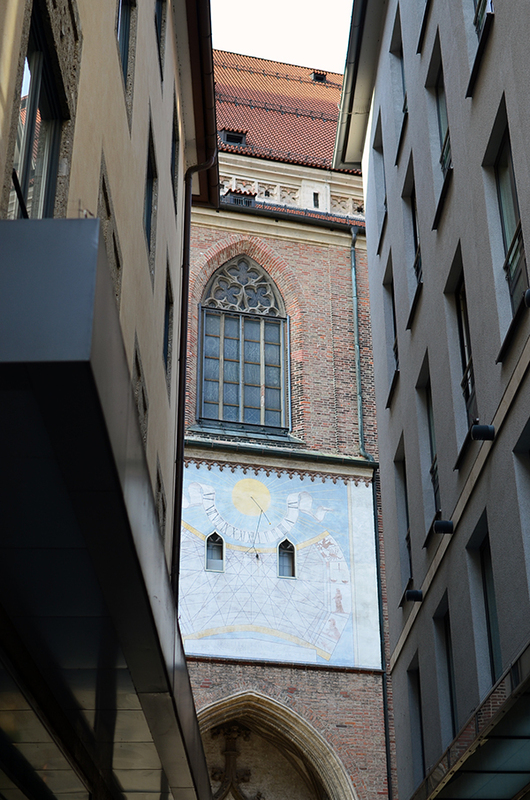 Side view towards the Frauenkirche – gothic cathedral located in Munich’s Old Town, not far from Marienplatz. I found a nice restaurant at Goethestrasse surrounded by a green garden. The garden was empty and I sat on a table beneath the green shade of the branches in the cool May afternoon. I was having spinach gnocchi with tomato pesto and glass of cold Augustiner beer, reflecting on the past few days. I just finished my dish relaxed and satisfied when I heard music coming from the inside of the restaurant. 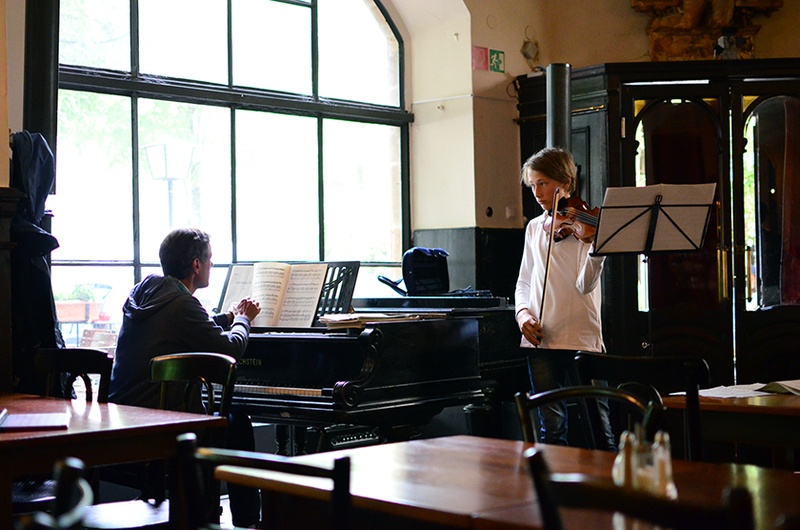 The first few tones of the violin accompanied by piano vibrating through the windows were enough to tell it was a live performance. No system could reproduce these small imperfections of a real musical instrument being played in a room, but I tried to imagine a system playing inside which was able to fool me. 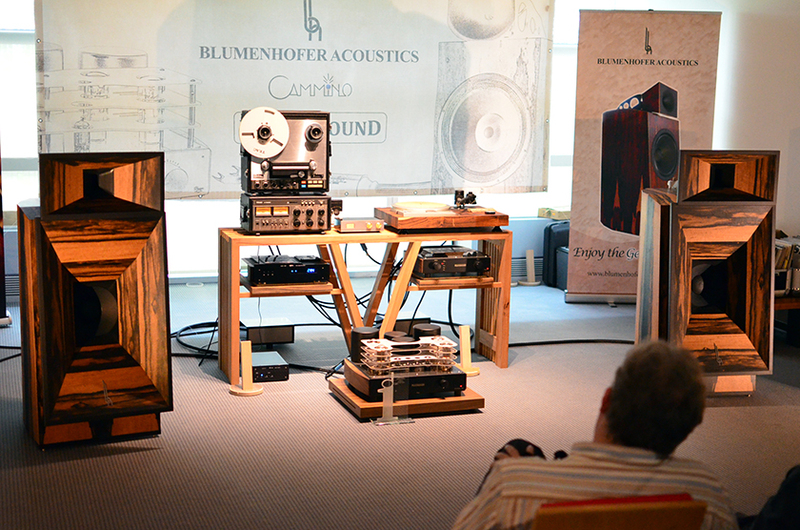 In my imagination appeared the Harbeth Monitor 40.2 based system which I think can go very close to the abundance of overtones a piano string emits after being struck by the wooden hammer, with all its weight and color, very close to the resonating timbre of the violin trying to escape the room boundaries. I moved inside the almost empty restaurant, found a good spot and ordered espresso. 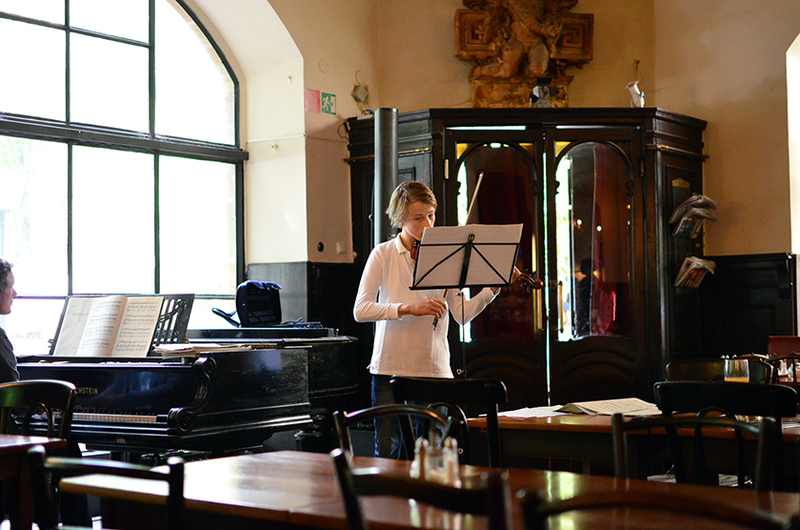 I was lucky again having a duo performing classical works with ability and passion in front of me, it was such a treat. I just stopped thinking and let myself being overwhelmed by the music, withdrawing into myself and letting the sound to shape my emotions. It was such a relaxing experience I am very thankful of. One hour after midnight I finally reached my destination, home sweet home it is nice to be here again.